It has been a while since we witness notable work from Singapore. This one sure has some fun to it. Kinetic Singapore recently developed a youtube commercial which reliefs viewers from pesky sponsored ads on YouTube. The idea here is to challenge viewers against the speed of the new Mini John Cooper by having them hit the skip button as fast as possible. Aligning to the message that the MINI is fast, and at the same time helping viewers to cope with repetitive ad skipping moments. Interesting way to balance between psychological time and objective time. Read more about why performance matters here. So here you go, make objective time less annoying, communicates your clients message and marry them with an interesting yet engaging execution. Nice. I actually liked what I saw. 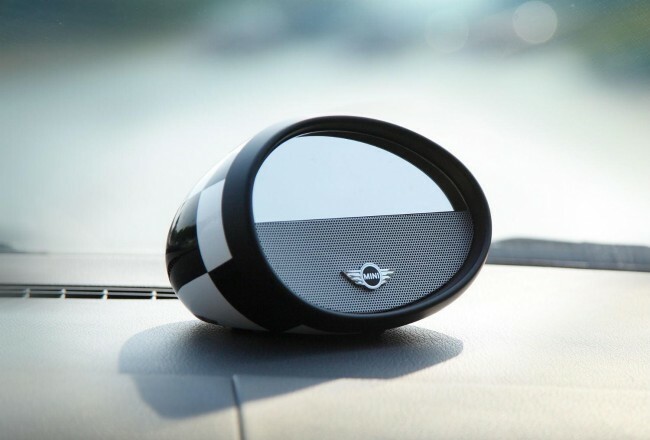 This speaker mimics the design of the Mini Cooper’s side mirrors. In fact, it is exactly the same as what it is on the car itself. iUi design’s new offering, the Mini Cooper Mirror BoomBox looks stunning and I must say, simple yet original. You can’t get any closer to the actual design than this! Colors are available in Union Jack, Grayscale Union Jack and the Checkered Flag, all of which are trademark patterns of Mini. This gadget comes packed with a Bluetooth 3.0 aptX, NFC, rechargeable batteries, voice prompts, an on-board speakerphone as well as a touch screen volume control display on the mirror itself. Seemingly, it also boots a nice 8 watt sound amplifier. Cool. As we move towards a mobile age, gadgets do need to be pretty much adaptable on the repertoire of devices out there in the market. The Mirror Boombox does have an Aux input for hard wire connections that allows you to switch usage between tablets or smartphones. Best of all, this device would definitely not cost an arm and a leg at a decent price of $150. Go grab yours now.